As the Private Client Group’s Senior Commercial Account Advisor, Ginnise Comstock provides concierge-level services to private clients who have business insurance needs. She works with a wide range of start-ups and long-established businesses, including commercial property owners, non-profit organizations, professional services, and retail operations. She works with a number of insurers who provide a full suite of property, liability, and commercial auto coverages. She has access to specialty markets for additional coverages that may be needed, including professional liability, management liability for private and non-profit companies, cyber liability, and workers’ compensation. 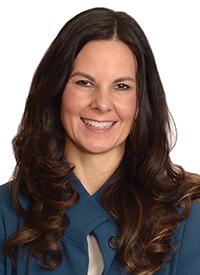 Ginnise began her insurance career in 1991 and worked for commercial and personal lines insurers before transitioning to the independent broker side. Her background includes underwriting, claims and client service. Ginnise joined Parker Smith & Feek in 2011. She has earned the Certified Insurance Counselor (CIC) and Certified Risk Manager (CRM) professional designations. Ginnise is a graduate of Central Washington University with a B.A. in Education.